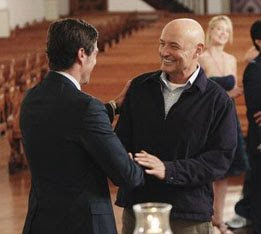 It is not often in pop culture that so many people are strongly in tune to the conclusion of a single event as they were this week with the end of LOST. While I continue to work on what has slowly become a larger and grander project I take some solace that I virtually started with the ending following in the wake of Tolkien whose Lord of the Rings series is simply the end point of what was a much larger mythology. 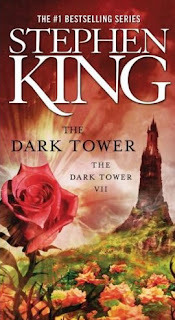 Stephen King's Magnum Opus The Dark Tower is by far one of my all time greatest inspirations and upon my first reading I failed to grasp the true power of the ending, the real ending that is. While there is an epilogue of sorts to comfort many readers the true ending is before that, and King says as much. 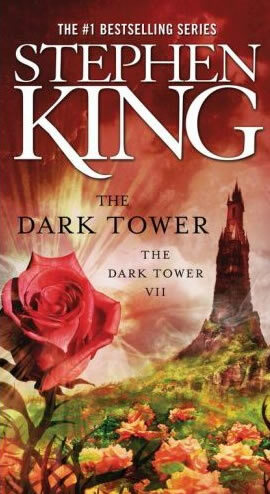 He is of course paying homage to Browning's poem Childe Roland To The Dark Tower Came (a title that is itself an homage to prior works) wherein the point of the poem is that the journey is more important than the destination and King honors the theme of the poem as the finale to this series that spanned the bulk of his career (so far). Even Robert Jordan's Wheel of Time, which is being finished posthumously, seems to be honoring the contract between author and reader with a three part ending that is in part written by Jordan himself and wonderfully completed by Brandon Sanderson. The ending of LOST has been controversial in that it truly seems to have rent a rift among the followers of LOST with one camp being those who hated the ending (and or did not understand the ending) and those who for the most part enjoyed and appreciated it. I would fall into the later camp. For my part I felt it answered questions, found ways to surprise me, and made a bold choice in ending the series in a bittersweet repose and an epilogue that lasted either the last few minutes of the series, or for the final season depending on your point of view. I don't know if I'd go so far as to call it brilliant, but it was brave. I feel that LOST managed to capitalize on its ending in a way that BSG failed. I still feel that the more appropriate series end to BSG was at the halfway point through the last season. It was bleak and desolate and left some serious questions hanging and for my money is the perfect conclusion to a series that was so hard hitting. The rest of the final season was, in my mind, never really able to capitalize on the momentum of all the previous work outside of a few key moments (such as the surprise suicide). It seemed to suffer on the very current need to explain too much and give us a happily ever after that shows and movies have. I still think Cloverfield, a movie I quite enjoy, is a stronger movie if it ends about 5 minutes earlier (the copter crash), in a similar way that Spielberg's AI would have been stronger if it ended in ice at the bottom of the ocean (if it's not 20 minutes before the end it sure feels like it). 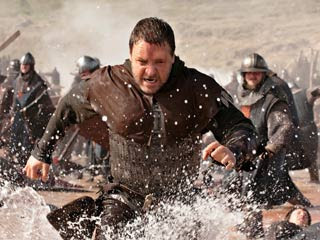 Ridley Scott's Robin Hood, however, deserves special mention because of its catastrophic breakdown of a conclusion. It's as if the writer's couldn't figure out where they wanted to go with it so they mashed together Saving Private Ryan, Return Of The King, The Patriot, and Peter Pan followed by scenes that feel completely arbitrarily tacked on and make no logical sense following the progression of everything before them summing up to an epic fail. The saddest part of the ending is that the rest of the movie is anywhere from fair to quite good and it destroys what would have been an otherwise very enjoyable film. It probably didn't have enough frivolity, as one would normally expect with Robin Hood, to be a classic, but it did have some provoking imagery (such as the orphans in the forest) and a magnetic villain (maybe charismatic would be a more appropriate word, lest people think Robin Hood was battling Magneto). While not every story is wholly dependent on a strong finale in order to make the work as a whole stand out a catastrophe of an ending can ruin what would otherwise have been an enjoyable jaunt between storyteller and audience.